These Guidelines are straight from Google – This is our SEO Blueprint for you! Keep in mind that the Google search results page includes organic search results and often paid advertisement (denoted as “Ads” or “Sponsored”) as well. Advertising with Google won't have any effect on your site's presence in our search results. Google never accepts money to include or rank sites in our search results, and it costs nothing to appear in our organic search results. Free resources such as Search Console, the official Webmaster Central blog, and our discussion forum can provide you with a great deal of information about how to optimize your site for organic search. One common scam is the creation of “shadow” domains that funnel users to a site by using deceptive redirects. These shadow domains often will be owned by the SEO who claims to be working on a client's behalf. 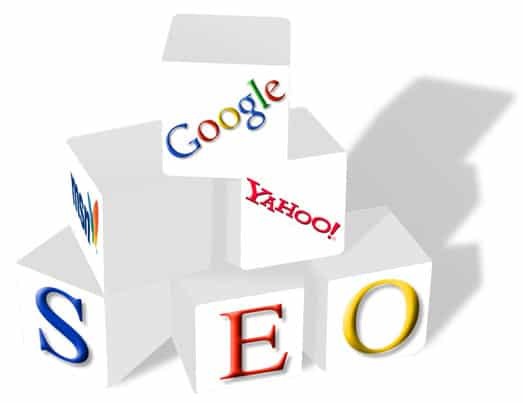 However, if the relationship sours, the SEO may point the domain to a different site, or even to a competitor's domain. If that happens, the client has paid to develop a competing site owned entirely by the SEO. Another illicit practice is to place “doorway” pages loaded with keywords on the client's site somewhere. The SEO promises this will make the page more relevant for more queries. This is inherently false since individual pages are rarely relevant for a wide range of keywords. More insidious, however, is that these doorway pages often contain hidden links to the SEO's other clients as well. Such doorway pages drain away the link popularity of a site and route it to the SEO and its other clients, which may include sites with unsavory or illegal content. Be careful if a company is secretive or won't clearly explain what they intend to do.Ask for explanations if something is unclear. If an SEO creates deceptive or misleading content on your behalf, such as doorway pages or “throwaway” domains, your site could be removed entirely from Google's index. Ultimately, you are responsible for the actions of any companies you hire, so it's best to be sure you know exactly how they intend to “help” you. If an SEO has FTP access to your server, they should be willing to explain all the changes they are making to your site. You should never have to link to an SEO.Avoid SEOs that talk about the power of “free-for-all” links, link popularity schemes, or submitting your site to thousands of search engines. These are typically useless exercises that don't affect your ranking in the results of the major search engines — at least, not in a way you would likely consider to be positive. Choose wisely.While you consider whether to go with an SEO, you may want to do some research on the industry. Google is one way to do that, of course. You might also seek out a few of the cautionary tales that have appeared in the press, including this article on one particularly aggressive SEO: http://seattletimes.nwsource.com/html/businesstechnology/2002002970_nwbizbriefs12.html. While Google doesn't comment on specific companies, we've encountered firms calling themselves SEOs who follow practices that are clearly beyond the pale of accepted business behavior. Be careful. Be sure to understand where the money goes.While Google never sells better ranking in our search results, several other search engines combine pay-per-click or pay-for-inclusion results with their regular web search results. Some SEOs will promise to rank you highly in search engines, but place you in the advertising section rather than in the search results. A few SEOs will even change their bid prices in real time to create the illusion that they “control” other search engines and can place themselves in the slot of their choice. This scam doesn't work with Google because our advertising is clearly labeled and separated from our search results, but be sure to ask any SEO you're considering which fees go toward permanent inclusion and which apply toward temporary advertising.